We strongly recommend removing connections to data sources that are no longer needed. This way you can easily identify which data sources are in use. To delete a data source connected to your account, follow these steps. 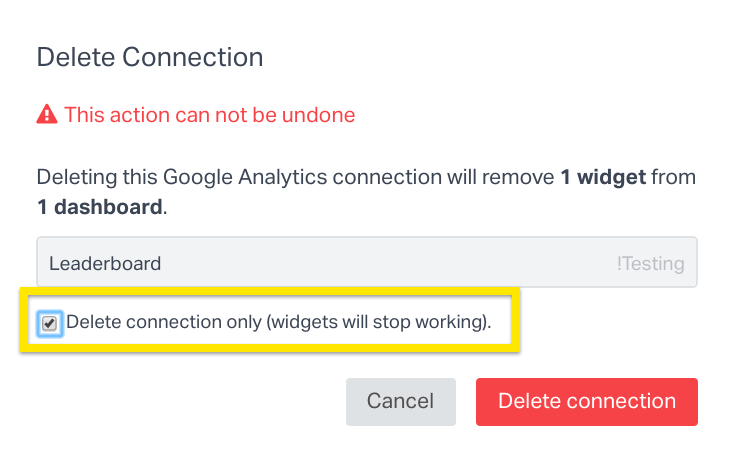 By default, deleting your connection to a data source will delete all the associated widgets as well. Click the more options icon and select Delete connection. Click Delete connection again when prompted. 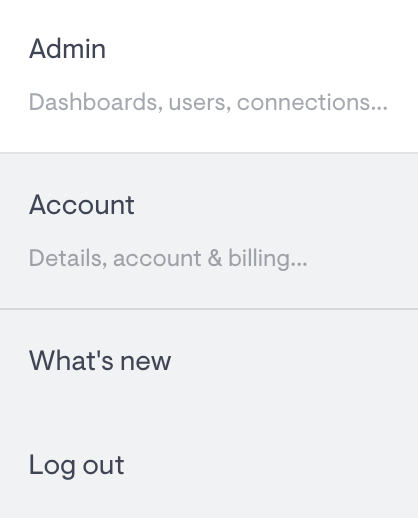 If you want to retain the widgets, check the option when deleting the data source.